He adds that the disks are patented and come with a five-year warranty. 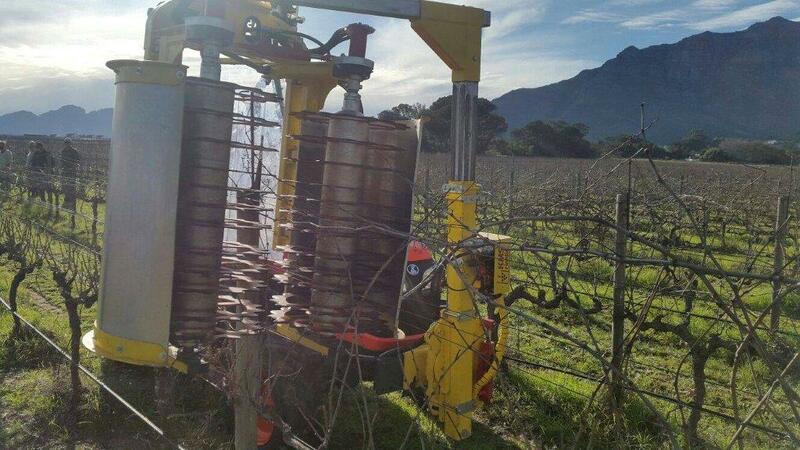 One of the most important features is that the special design of the pre-pruner prevents it from cutting the crossed wires that are integral to a vineyard structure and, due to the extremely sharp disks, the pre-pruner easily cuts through the thickest cordon. 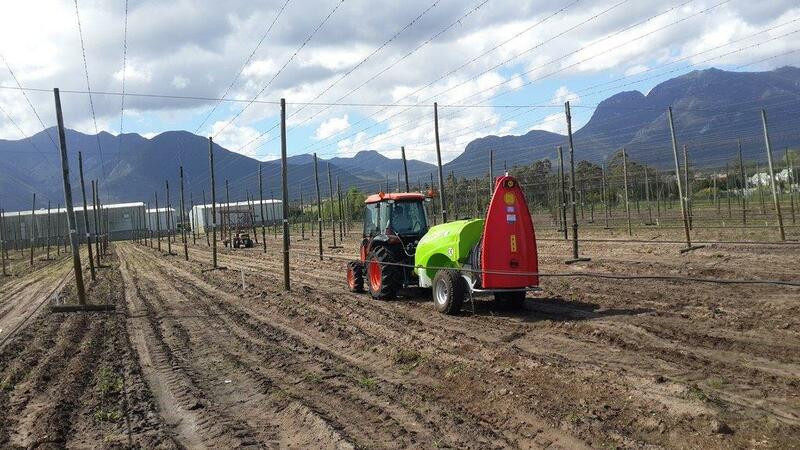 One of the key advantages of the pre-pruner is its simple and light design enabling even the smallest tractor to handle the unit. 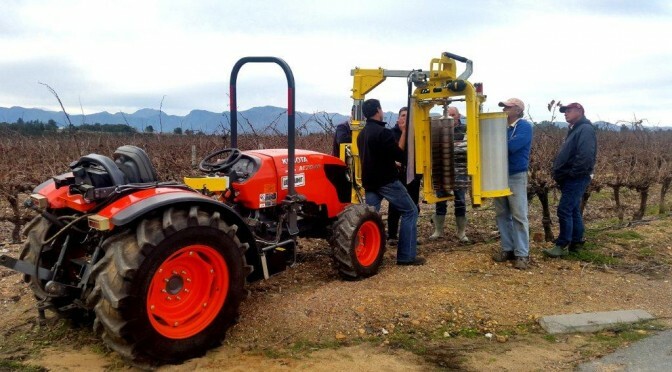 “The joystick is very easy to use and does not include electronic components, which makes it more robust and increases its longevity. Also, maintenance is reduced to a minimum, since all moving parts can be greased,” Fersch says. 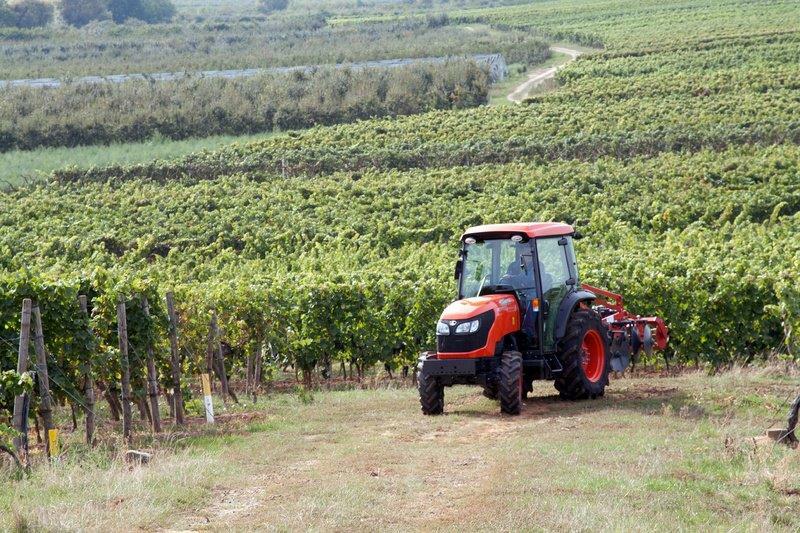 The M series Kubota tractors are ideal partners for the pre-pruner as they are small and extremely efficient tractors and for this reason the Kubota–KMS Rinklin pre-pruner partnership is becoming a major attraction in the vineyards of southern Africa. You can email Chris Fersch [here]. 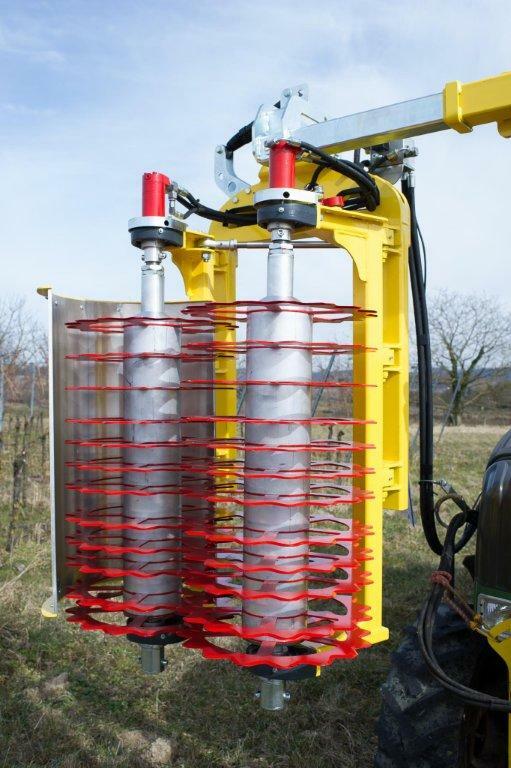 This article was featured in the Capital Equipment – Sep 2015. This article was featured in the Farmer’s Weekly – 18 Sep 2015. 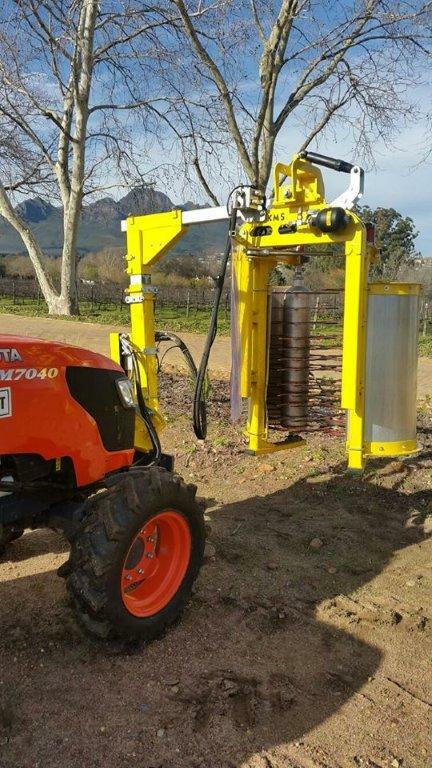 This article was featured in the AgriSA – Oct 2015.